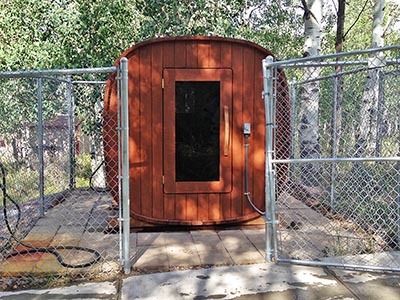 The Tabby Mountain Lodge Sauna is available to guests staying in the Tabby Mountain Lodge. The barrel-shaped sauna offers the advantages of even air flow and less unusable space than other types of saunas. The saunas open at 9:00 a.m. and close at 9:00 p.m. and are considered “free-time” activities.